So I was wondering around Barnes and Noble (which happens to be a very bad habit of mine) see what is new and just checking out the books. Granted I was also straightening shelves and tables as well, I used to work there and old habits die hard. 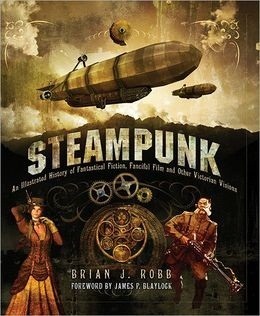 This book had a lot of the history and progression of Steampunk. Let's just say I pointed it out to my husband as being on my Christmas list. I hate to say it but buy it from Amazon or from online at BN.com. In stores it was $35.00.